A multi-vehicle accident in Northwest Jacksonville resulted in tragedy. The father of 14 children was killed in the collision, which occurred on North Edgewood Avenue near Old Kings Road. When police arrived at the scene, three vehicles were in the southbound lane of Edgewood Avenue North with one of the vehicles flipped over. Police suspect at least one driver was under the influence of alcohol when the accident occurred, according to News 4 Jacksonville. As of the date of this posting, the accident remains under investigation by police. If it turns out that one, or more, of the drivers, involved in this terrible accident was intoxicated, it will be another tragic incident stemming from irresponsible decision to get behind the wheel after consuming alcohol. In 2016, nearly 800 people died in Florida in drunk driving accidents, according to MADD. That represents a 14.8 percent increase from the previous year. Nationwide, the numbers are not much better. Over 10,000 people lost their lives in drunk driving wrecks across the country. That equates to nearly one-third of all automobile accident-related deaths in the U.S., according to the CDC. If you lost a family member in a car accident caused by a drunk driver, you need to speak to an experienced Jacksonville wrongful death attorney to discuss your legal options. The drunk driver will likely face criminal charges brought by the state, but you can also hold the reckless driver accountable through a wrongful death civil claim. 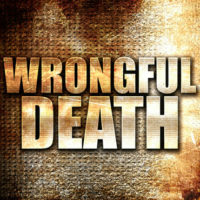 In most cases, the representative of a decedent’s estate can pursue economic and non-economic damages under the Florida wrongful death statute. Damages equate to your harms and losses. Obviously, no amount of money can ever truly compensate you for the sudden loss of a loved one, but our civil justice system is predicated on trying to make a victim whole through monetary restitution. The difference between economic damages and non-economic damages is simple – economic damages are itemizable costs such as medical expenses, funeral expenses, burial costs, the financial support provided by the decedent, etc. Non-economic damages are those intangible harms such as the loss of support and companionship. In the accident described above, the man who died was survived by 14 children. That is 14 lives irrevocably damaged due to the collision. That is 14 children who will grow up without the love and guidance of their father. In major multi-vehicle collisions, the amount of available auto insurance coverage is typically an issue that needs to be addressed head on. Under Florida law, drivers are required to carry at least $10,000 in Personal Injury Protection (PIP) insurance. This may appear to be a lot of money, but in a deadly multi-vehicle car accident, it is woefully insufficient to properly compensate you for the loss of a loved one. Fortunately, an experienced wrongful death attorney can investigate other available insurance coverage including uninsured or underinsured coverage through your own insurance policy. Losing a loved one is gut-wrenching. You need to focus on the grieving process, not negotiating with an insurance adjuster. Let Gillette Law, P.A., help. To learn more about your legal options, contact our law firm in Jacksonville today to schedule a free consultation.